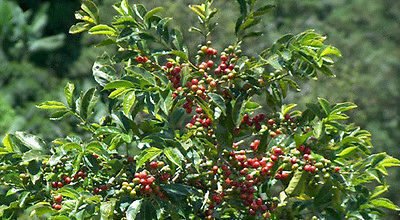 Coffee Plant Seeds ★Java Estate Grow your own coffee beans at home! This shrubby house plant grows to five feet high when grown indoors. 25 seeds in package Shipping and Handling Discount - Regular shipping price for first purchase of seeds, additional $.50 for each seed purchase there after. Please do not make payment until you receive an invoice with shipping discount applied.